Two months after Snapchat opened the Lens Store to offer users the option to jazz up their self-destructing messages, the company is shutting down the venture. Snapchat announced the change in a support notice on its site Wednesday, noting that while the Lens Store would cease to exist starting Jan. 8 (this Friday), it’s not doing away with the so-called lenses — which add special effects and sounds to messages — completely. Instead, the company says it will still offer users about 10 free lenses each day, including some that are sponsored by movies, companies, and other organizations, Mashable reports. The Lens Store, which launched in November, allowed users to purchase special effects filled add-ons for $0.99 each. 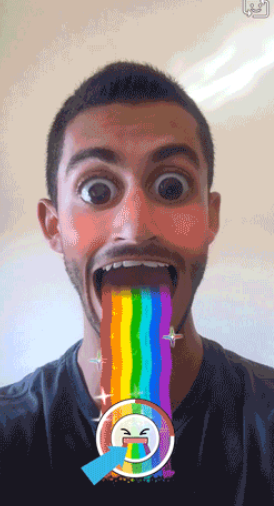 Snapchat says that some of the company’s most popular lenses – you might be familiar with the puking rainbow – will eventually be available through its free offerings. Still, the company warns that it plans to change the free offerings on a regular basis, and that users can’t actually save those options for later use. Snapchatters who previously purchased lenses through the Lens Store will continue to be able to use them.